OP: I think your project looks great, and for one would like to hear more about how the paint process went down. I'm flabbergasted that is the result of brushing the paint on! And I totally get where you are going with this "replica of a replica". 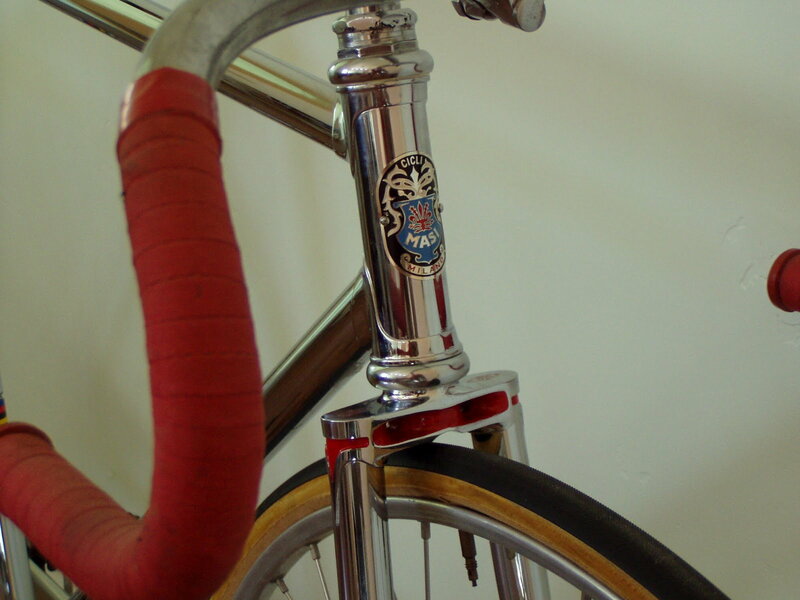 The question of the ethics of falsely branding a bike has been a matter of concern to many. Some folks do try to make it clear that the bike is not exactly what it appears to be. 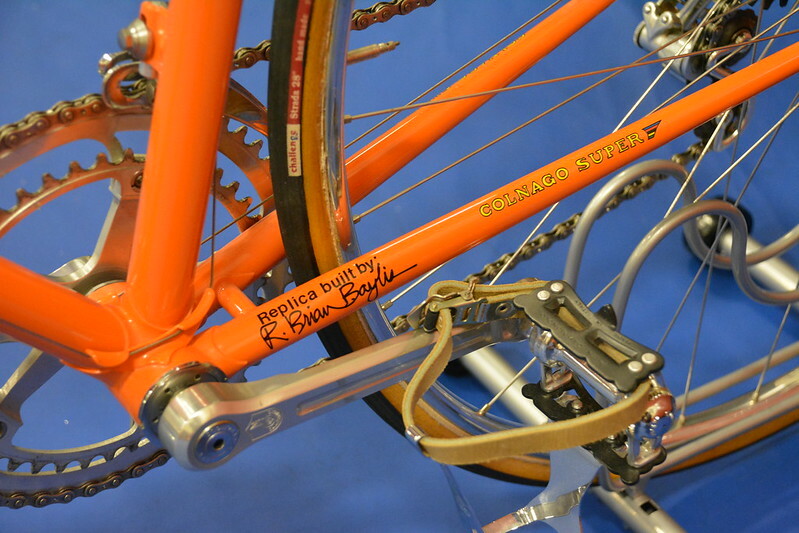 One example that comes to mind is the Colnago Super replica built by Brian Baylis. Definitely not equivalent to passing a Trek off as a Masi... but does show that some people feel compelled to be forthcoming about the bike's origin. Personally.... I have a higher regard for a Baylis built bike than a production Colnago, so the disclaimer definitely increases the value in my eyes.